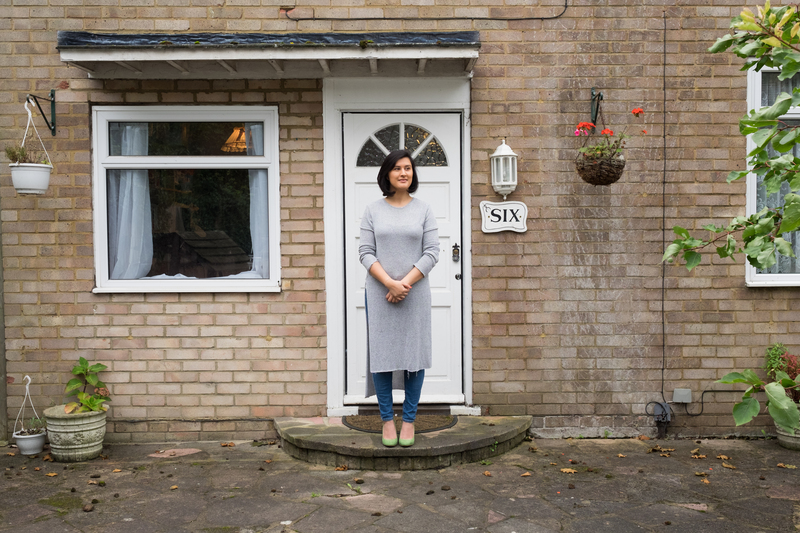 Halima Gosai Hussain, 30, imam at the Inclusive Mosque Initiative (IMI) in London. Photographed outside her home in September 2017, interviewed February 2017. “When I heard about the idea for IMI, I immediately thought: “Yes, that’s what I want.” I’d been looking for a mosque where you could just be yourself, where you didn’t have to deny who you were, and where you could talk about Islam from diverse perspectives. In late 2012, I led IMI’s first prayer in a small room in Soho. It was the first time I’d led a prayer and it was one of the most amazing experiences of my life. I didn’t want it to end. I loved learning about religions even as a child – R.E. was always my favourite lesson. After school, I took a gap year and studied the Quran at a women’s seminary in Islamabad. I then studied at Kings College London and SOAS, where I wrote essays on feminist interpretations of the Quran. IMI welcomes people of any gender, sexuality, race, or disability on equal terms. IMI’s use of female imams to lead mixed congregations is controversial in the mainstream Muslim community. Women more commonly take on the role of an aalimah, a female Islamic scholar. Some aalimahs lead other women in prayer.